We now offer our large jet scale systems with our under axle air operated two stage jacks. Buy the scale as a stand alone and use your own jacks or buy our complete system with jacks and adapters. 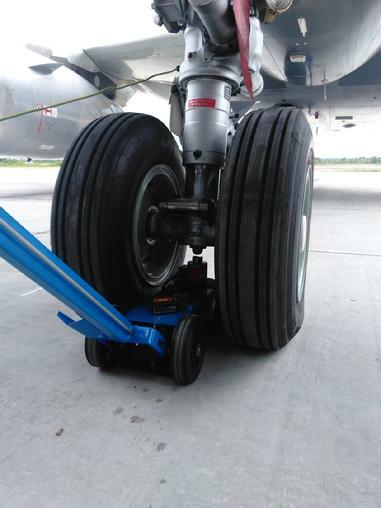 Under axle use is stable and has a low center of gravity. 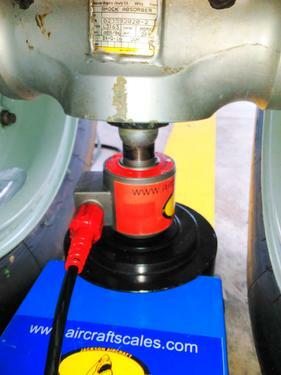 Our air jacks are two stage and offer easy use and lifting of your large jet. Systems can be grown into larger systems by adding more cells and jacks. Shown here is a A320 main point, note that an adapter is being used to raise the cell into position before the lift. Our complete system is low cost and much more easy to use than large platforms. We manufacture a full line of adapters specifically designed to work with our under axle jacks. Large bore studs, locking cap screws hold the cells in position, 4140 solid steel for support. We can also make custom adapters for your application if our standard line of adapters does not fit your applications. Graphical read outs, print outs as well as standard scale read out capable using our laptop computer M2400 system. 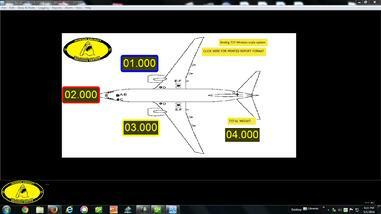 We have advanced math and gravity capable software to meet your needs for easy weighing of your aircraft. Save time and money with our equipment, once you use our system, you will never go back to platforms! Our cell kits can also be used for traditional tripod jack use and weighing applications. 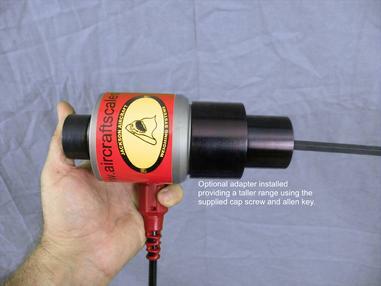 Our cells can mount on your jacks and we can provide adapters to make your jack type fit.